It’s a new program that the province is hoping will help the English community. The Minister Responsible for Relations with English Speaking Quebecers, Kathleen Weil, announced nearly $7 million will be going to organizations that offer services to English-speaking Quebecers. 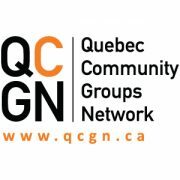 Quebec Community Groups Network (QCGN) says though the grant program is something they’ve been pushing for, more is still needed. As promised in the spring budget, the provincial government is spending $6.9 million to improve access to health care for anglophones and to help other anglophone groups. Kathleen Weil, the Minister responsible for Relations with English-Speaking Quebecers, detailed on Tuesday how the money will be spent: $5.7 million for community groups that work with anglophones, and $400,000 each to the English Language Art Network (ELAN), Seniors Action Quebec, and Literacy Quebec. Those funds will be spent over the next three years to help the organizations expand upon their core functions. The Quebec government is giving nearly $7 million in financial aid to organizations that work with anglophone communities in order for them to diversify and expand their offerings. The bulk of the funding will go toward the Community Health and Social Services network, which will receive $5.7 million over three years. It will distribute 93 per cent of the funds to 25 local and regional organizations that it co-ordinates. 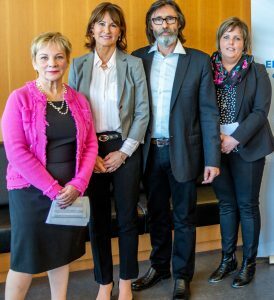 In addition, the English Language Arts Network (ELAN), Seniors Action Québec and Literacy Quebec will receive $400,000 each over three years, read a press release from the secretariat that was issued in French only. Le ministre de la Santé et des Services sociaux, monsieur Gaétan Barrette, ainsi que la ministre responsable de l’Accès à l’information et de la Réforme des institutions démocratiques et ministre responsable des Relations avec les Québécois d’expression anglaise, madame Kathleen Weil, ont annoncé aujourd’hui la composition du nouveau Comité provincial pour la prestation des services de santé et des services sociaux en langue anglaise. On hand for the meeting in the Prime Minister’s office on Parliament Hill were Canadian Heritage Minister Mélanie Joly; Justin Johnston, Fédération de la jeunesse canadienne-française (FJCF) president; QCGN President James Shea; Prime Minister Justin Trudeau; Jean Johnson, la Fédération des communautés francophones et acadienne (FCFA) president; and the vice-chair of QCGN’s Access to Justice in English committee, Jonathan Nuss. They are pictured above with Josée Vaillancourt, Director General of the FJCF, Alain Dupuis, Director General of the FCFA; QCGN Director General Sylvia Martin-Laforge and QCGN Vice-President Geoffrey Chambers. It has been a busy spring for the QCGN with good news aplenty at both the Federal and Provincial level. I was honoured to meet with Prime Minister Justin Trudeau and Canadian Heritage Minister Mélanie Joly as well as our Francophone counterparts on March 28 as the government prepared to launch the Action Plan for Official Languages 2018-2023: Investing in Our Future. A full contingent of QCGN members and staff were on hand in the nation’s capital for the launch of the new federal strategy that plans to invest $499.2 million over the next five years to support Canada’s official language minority communities and to promote bilingualism. Before the press launch members of both official languages communities participated in a technical briefing where we learned the main pillars of the plan from Canadian Heritage officials. The Action Plan is based on three pillars: Strengthening our Communities; Strengthening Access to Service; and Promoting a Bilingual Canada. The launch was held at Mauril Bélanger Primary School in Vanier – a perfect setting since the school was named in honour of the former MP renowned for being a true champion of Official Language communities. Bélanger passed away in August 2016, a week after the QCGN decided to recognize him with a special Community Leadership Award. Read the tribute we prepared for the ceremony. 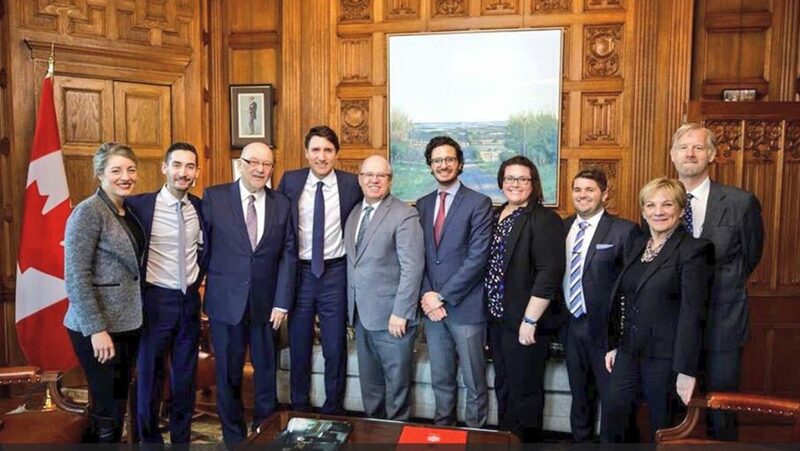 I think it is safe to day that Bélanger, who spent decades advocating for the recognition and support of official language minority communities, would have been pleased with the Action Plan. So were we. Read our press release. 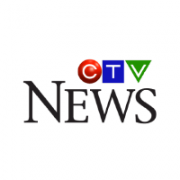 See coverage of the Action Plan in the Montreal Gazette and the interview with QCGN Vice-President Geoffrey Chambers on CTV about the Action Plan and the provincial budget. 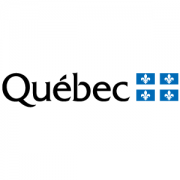 The QCGN heartily welcomed new measures for English-speaking Quebecers that were included in the provincial budget on March 27.  QCGN had high expectations for the Quebec’s 2018-2019 budget, following our community’s first-ever pre-budget consultation with the Minister of Finance in February. Finance Minister Carlos Leitao delivered $24.5 million over six years for the activities of the Secretariat for Relations with English-speaking Quebecers. The funding will be used to support non-profit organizations and institutions in areas of activity related to the Secretariat’s mission; to disseminate data that supports the vitality of English-speaking communities; and to help keep young English-speaking Quebecers in the province through employment. We are encouraged by the budget’s commitment for community support in health and social services and we are hopeful some of the funding for community organizations will go to meet pressing needs in English-speaking Quebec. The budget also includes an additional $46 million to support community organizations operating outside the health and social services sector that our community will be eligible to apply for. Read our press release. Also see coverage in the Montreal Gazette. A week of good news did not go unnoticed by many, including the Montreal Gazette which published an editorial celebrating the fact English-speaking Quebecers are, at last, on the radar of both the federal and provincial governments and that both took welcome steps to provide us with much-needed support. 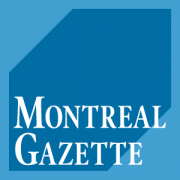 The Gazette noted that persuading fellow Quebecers that our community has rights and vulnerabilities has been an ongoing challenge. Like our community’s newspaper of record, the QCGN welcomed the provincial budget and federal Action Plan on Official Languages that provide genuine opportunities for greater assistance — but the work to ensure the money is delivered and that it looks after the real needs and priorities of our community of communities is just beginning. Over the coming months and years, we must ensure that the provincial secretariat, which received badly needed additional funding in Quebec’s 2018-2019 budget, does its job ensuring our community’s priorities, needs and interests are represented to government ministries and agencies. We will also have to ensure the Secretariat and the new funding is maintained following the fall election. Meanwhile on the federal front, the QCGN will be making representations to the federal government, the Department of Canadian Heritage, and other departments funded under the new action plan, to ensure they provide fair consideration and funding to English-speaking Quebec as it divvies up the program funding. The QCGN was pleased that a long awaited regulation governing the creation of the Provincial Advisory Committee on the dispensing of health and social services in the English language was published on April 11 in La Gazette officielle du Québec. The regulation ensures that members of the new provincial access committee will be more representative of Quebec’s English-speaking community. It also hands responsibility to the QCGN and the Community Health and Social Services Network (CHSSN) for recruiting and proposing committee members to the Minister of Health. For almost three years, the QCGN and the CHSSN have worked diligently with the minister and the ministry to draw up a new regulation that ensures we have a real say in the delivery, accessibility and quality of health and social services to English-speaking Quebecers. We are grateful to Eric Maldoff, the chair of QCGN’s Health and Social Services Committee, for leading this charge. As Eric stated, our right to health and social services in our language depends on the creation of proper access plans that spell out the services we can access and the quality of those access plans depends on committee members equipped with in-depth knowledge of our community combined with a detailed understanding of the health and social services network. This revamped regulation ensures our community will have meaningful involvement in the creation of provincial and regional access committees, as well as in the preparation of access plans for the provision of services in English. The new rules also ensure new rights to monitor the plans and consult the community on changes to the health and social service network that impact Quebec’s English-speaking community. A committee is being struck to begin recruiting candidates for the provincial advisory committee which needs to be in place by summer. It is now up to our Network and community to find the necessary volunteers to fill the hundreds of volunteer positions that will open in the coming months. Stay tuned for more information. In the meantime, read our press release and see coverage in The Montreal Gazette, on Global Montreal on CTV Montreal and on CJAD. Also view Eric Maldoff’s live interview with CTV Montreal’s Paul Karwatsky. On Monday, April 23, the Secretariat for Relations with English-speaking Quebecers granted $950,000 of the aforementioned $25 million on five projects that will support the vitality of Quebec’s English-speaking communities. The funds will flow through Concordia University and the Quebec English-speaking Communities Research Network (QUESCREN), a network of researchers, stakeholders, educational and other institutions housed at Concordia’s School of Community and Public Affairs. Some $350,000 will remain at QUESCREN to support research related to English-speaking communities and support outreach activities. These include the biennial forum of QUESCREN’s Inter-Level Educational Table titled “Minority Community Vitality through Education”, scheduled for the fall. The remaining $600,000 will be distributed to community partners including the Quebec Community Groups Network, which will receive $230,000 to develop and maintain expertise in public policy analysis and research in areas of provincial jurisdiction. As part of these activities, the QCGN will host dialogues between key government and community leaders in priority areas including employment and skills development, regional economic development and institutional vitality. Working with the Secretariat and the community, QCGN will produce a comprehensive demographic and socio-economic portrait of English-speaking Quebec, as well as a gaps analysis to map community stakeholders as well as government and civil society partners with a view to understanding critical areas that require provincial government support. Funds are also being provided to two members of the QCGN family: the English-Language Arts Network (ELAN) for five pilot projects to help create increased and sustainable connections between communities and artists and the Council for Anglophone Magdalen Islanders (CAMI) to develop a social economy organization that will lead to job creation, youth retention and community vitality for the English-speaking community of the Magdalen Islands. The Eastern Townships Resource Centre (ETRC) will also receive $60,000 to help preserve and promote the rich and unique history of the Eastern Townships. 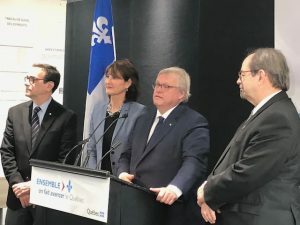 Kathleen Weil, the minister responsible for Relations with English-Speaking Quebecers, made the announcement Monday at Concordia University. She also foreshadowed more announcements in the coming months, including a plan to keep English-speaking youth in Quebec. . For more details, read the Secretariat’s communiqué and QCGN’s press release. 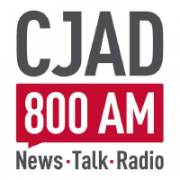 See coverage on CTV Montreal, on Global Montreal, on CJAD in The Montreal Gazette and on Concordia’s website. 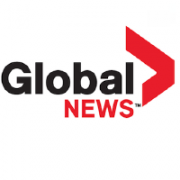 Also view a live interview between QCGN’s Vice President Geoffrey Chambers and CTV Montreal’s Paul Karwatsky. Are you someone, or do you know someone, who is devoted to the vitality of the English-speaking community? Do you or do they support the vision and mission of the Quebec Community Groups Network and are you willing to help us achieve our goals? The QCGN is seeking talented and engaged community leaders willing to stand for election for its board of directors. There will be six vacancies in 2018 including the positions of president, vice-president and secretary. Current President James Shea and Secretary Walter Duszara, as well as Director Juan-Carlos Quintanna are nearing the end of their term limits on the board of directors. Some directors will be running to return to the board. Nominations for the board of directors are overseen by the nominating committee, whose members were appointed by the QCGN membership during the annual general meeting in June 2017. Board members are required to participate in regular meetings – usually six per year, two of which are face-to-face – and serve on one or more committees in their areas of interest and expertise. The nominating committee must recommend a board that is representative of the Network and balanced in terms of gender and age. It seeks to include regional and sectoral representation (for example, health and social services; education; economic development; justice; arts, culture and heritage). QCGN board members are elected to serve two-year terms and may be re-elected for a maximum of three consecutive terms (six years). 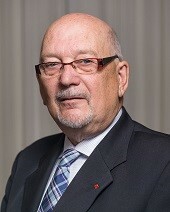 Additionally, board members are expected to remain up to date on public policy issues affecting Quebec’s English-speaking community; remain in contact with member organizations; attend annual general meetings (usually held the second weekend in June); and participate in major QCGN functions including the Goldbloom Awards (held in October). The deadline for nominations is 5 p.m. on May 7, 2018. Nominations will not be accepted after this time and date. All QCGN member organizations, regardless of category, are invited to nominate qualified individuals to the board of directors. To read the call for nominations, click here. The nominating committee will review all nominations and will provide QCGN members with a report and a slate of recommended candidates for the six vacancies. Helping newcomers to Quebec find work enables them to build productive lives. Two community organizations, one in Park Extension and the other in downtown Montreal, are doing just that. The organizations are among 10 in Quebec considered to have innovative and sustainable projects. 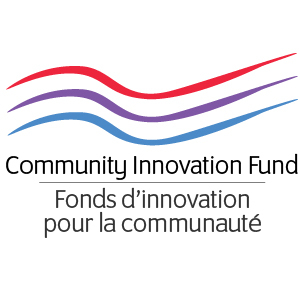 They are sharing in a $1 million Community Innovation Fund, provided by the federal government’s Social Partnership Development Program that is managed by the Quebec Community Groups Network. PEYO has since grown into a multi-faceted organization that works to improve the quality of life of residents of the Parc-Extension district, with particular emphasis on youth and families. It offers a variety of activities such as a community kitchen, meals on- wheels, a job entry program, computer workshops, sports and recreation, a catering service, street work and collaboration with École Barthélémy-Vimont. “Our project, called I AM COMPETENT, is for newcomers who want to enter the marketplace fast,” said Jette at the PEYO offices in the basement of the Centre William-Hingston on Saint Roch, in Park Extension. The I AM: Competent project is aimed at improving employability and socioeconomic security for vulnerable youth and newcomers. It focusses on participants acquiring new skills, with internships via a professional environment in a kitchen within a French immersion/English context. Over a 10-week period, the project provides adults with training by certified experienced chefs. They also complete 16 hours of online training on food hygiene and safety designed by Quebec’s Institut de tourisme et d’hôtellerie, upon which they are tested to receive certification. The courses are taught using French terminology so that students can better integrate the work force. “This puts you ahead of everyone else who is looking for jobs in kitchens,” said Jette. She said she is proud that graduates of the PEYO program enter the job market quickly. Students learn employability skills such as how to prepare for and conduct interviews, how to dress, and punctuality. “Some have recently immigrated to Canada and may not be used to our codes,” she noted. 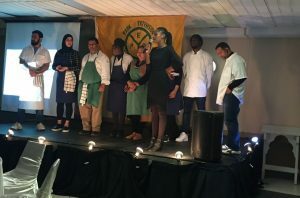 Late last month, nine students of the original 12 who started the program took part in a graduation ceremony and prepared the food themselves – 16 different dishes. Sabeen Irfan, 35, originally from Karachi, Pakistan, came in July seeking refugee status with her husband and five children. They had experience in restaurants and catering, and she said she appreciated the training. Youth Employment Services Montreal (YES Montreal), was founded in 1995 to counter the brain drain of young English-speaking youth moving elsewhere. Today it also serves immigrants who have been here for up to five years. Many have English as their main Canadian language and need support to find work. The goal of CIF-funded project aims to retain English-speaking newcomers by helping them to integrate into the Quebec economy. It includes targeted employment services such as workshops, mentorship, one-on-one support, peer-to-peer support, and networking events. 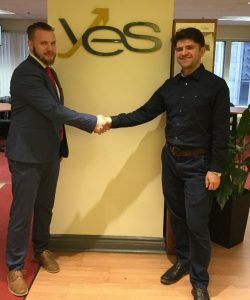 The project also aims to strengthen the social networks of new arrivals seeking stable and meaningful employment, simultaneously building new partnerships with local businesses and community organizations serving newcomers. “The focus is to help new arrivals integrate into Quebec, help them find jobs, start small businesses, or whatever it may take to help them make a living in Quebec,” said Iris Unger, Executive Ddirector of YES. The program, which was developed and publicized in September, includes coaching and workshops on work-related subjects such as preparing a resumé, networking for newcomers, using LinkedIn, and preparing for job interviews. “We try to create an environment where people are meeting other people, peers, employers, mentors so they have a better understanding of the lay of the land in Quebec and how to use that more effectively,” said Annalise Iten, Job Search Program Director. One success story is a woman in her 50s who worked for multinational companies as a human resources consultant in China and believed she would be unable to work in that field here. Milad Javadi, originally from Iran, arrived in Montreal in March 2016 sponsored by his wife, an aerospace engineer who is completing her PhD in mechanical engineering at Concordia University. He studied French for five semesters in the Quebec government’s language and integration program but needed a boost to find work. Referred to YES Montreal by a friend, Javadi came to a welcome session in January and was happy to accept help to find a job. “I met with my counsellor. He went through my background and experience, helped me improve my resumé, use LinkedIn, and identify my goals. I got an interview, went to see him again and he helped me prepare for it,” he said. Javadi was hired by a logistics and customs brokerage firm which has offices in Montreal. He started work on April 2. This is the first in a series of articles about projects that were funded under the Community Innovation Fund. For further information about the CIF please contact Christine Boyle at 514-868-9044, ext. 257. Entitled No Justice Without Access: Working Together to Ensure Access to Justice in English, the Quebec Community Groups Network engaged a broad cross-section of the English-speaking community, legal experts, and justice system stakeholders to kickstart a conversation between the community and components of our justice system to break down barriers to services for English-speaking Quebecers. Funded by Justice Canada, QCGN’s Access to Justice in English in Quebec project aims to develop deeper knowledge of how Quebec’s justice system works in targeted areas, to collaborate with multiple community and justice system stakeholders; and to develop plans of action that will make a difference for English-speaking Quebecers. The Community Forum aimed to initiate dialogue on project priorities and suggest specific collaborative efforts between the community and the justice system that could improve access to justice in English in Quebec. With dozens of participants from the community, as well as lawyers and officials from Justice Canada and Justice Quebec, the forum moved the project forward and set a solid foundation upon which to build on. Our initiative takes a people-centered approach, explained lawyer Bruce McNiven, Counsel to the DS Law Group in Montreal and Chair of the QCGN’s Access to Justice in English Steering Committee. The Access to Justice in English initiative is focused on building dialogue and collaborative relationships between the community and the justice system. With this approach in mind, the Steering Committee decided to focus on three priority areas: Youth protection and young offenders; access to justice for seniors and the elderly; as well as improved access for individuals seeking justice through administrative tribunals, especially but not exclusively, in the areas of labor relations and employment. Three work groups were established to begin exploring these areas to see what could be done in the short, medium, and long-term to improve access to justice in English in each of these spaces. Work Groups have been meeting every two weeks since Christmas to carry out their mandates. Before participants got down to work, they were treated to a conference on Effective Collaborations Between Community and Complex Public Systems by Richard Walling and Louis Hanrahan, Executive Director and Senior Advisor at Jeffery Hale Community Partners in Quebec City. Walling and Hanrahan shared their experiences in engaging in collaborative dialogue with the Health and Social Services Network. At lunch there was a lively panel discussion with the Honourable Thomas Mulcair, former NDP Canada Leader and MP for Outremont; Mtre Brian Mitchell, Bâtonnier of the Montreal Bar; and the Honourable Marlene Jennings, former Member of Parliament who discussed their experiences in transforming complex systems. “The forum was a first opportunity for our community and justice system representatives to explore together how to improve access to justice in English,” added QCGN Vice-President Geoffrey Chambers, who sits on the Access to Justice in English project steering committee. “The integration of the linguistic variable is essential for Quebec’s justice system to be respectful of our rights and responsive to our needs. This is especially true for more vulnerable groups, such as youth and seniors, who need community and justice system support to ensure that they are aware of their rights and helped to exercise their rights to access justice in English. “With dialogue and collaboration, we want to work with the justice system to build a platform that will help to ensure that English-speakers receive justice” added Chambers, noting the forum was just a first step to pursuing a more comprehensive initiative to explore and address issues related to access to justice in English for our community. 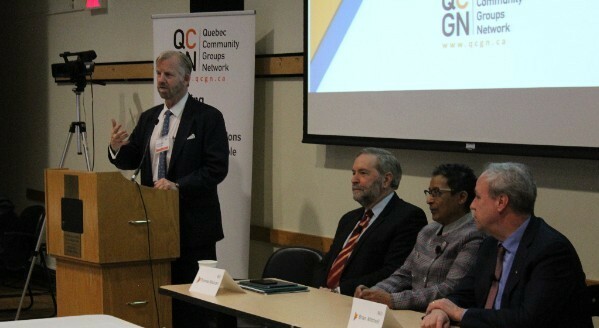 “We will work to equip the community with the knowledge and support it needs to engage in constructive and collaborative dialogue and action with the justice system to enhance access to justice in English,” he added, extended thanks to all the volunteers who have contributed so generously of their time, knowledge, experience, and expertise to help the QCGN move this project forward. For the second year in a row, dozens of English-speaking youths between the ages of 18 and 24 from across Quebec will gather in the Eastern Townships for a week-long youth leadership institute. From August 12 to 17, 2018, youth from our communities will converge on the campus of Bishop’s University for a week-long immersion into Quebec’s society. Youth will have opportunity to meet some of Quebec’s movers and shakers and make connections that will last a lifetime. “The Forum will be a unique opportunity for young leaders in the English-speaking community from across the province to spend a week immersed in the exciting and important conversation about the kind of province Quebec currently is and could possibly be,” said Bishop’s Principal Michael Goldbloom. 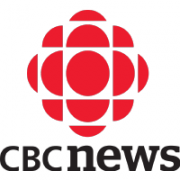 “The central concept of this initiative is the idea that if young English-speaking Quebecers can wrap their imaginations around how the business of the Quebec’s major institutions is transacted, they will be better equipped to lead the change from which the whole province can benefit,” Goldbloom added. As well engaging with high profile political and community leaders, participants will work in small groups to identify a key change they want to affect in Quebec society and craft both the case for support. This will culminate in presentation to a mock Parliamentary Commission made up of a blue-ribbon panel of Quebec. This opportunity is supported by the Quebec government as part of its Stratégie d’action jeunesse 2016-2021. Remember, the Forum is not only for students. Any English-speaking Quebecer between the ages of 18 and 24 can sign up. Participation in the forum is free of charge. Travel, accommodation and meals are all included. Register now. The Forum has a small discretionary fund to help successful applicants who might not otherwise be able to participate in the conference due to financial need. For information, please contact Denise Lauzière at denise.lauziere@ubishops.ca. There are only a few days left to register. Do not miss out on this unique opportunity! This year the Quebec Community Groups Network will celebrate the 10th anniversary of its Community Leadership Awards program and is welcoming nominations for the Sheila and Victor Goldbloom Community Service Award and the Young Quebecers Leading the Way Award. “We are planning an extra special event this year to mark the anniversary and to recognize praiseworthy individuals who have made a real difference for the QCGN and Quebec’s English-speaking community,” said board member Eva Ludvig, who is overseeing the QCGN Community Awards Committee. “These awards are designed to honour community leaders who have made significant contributions to Quebec’s English-speaking community,” said Ludvig, noting these are the only provincial level awards that recognize individuals who have contributed to the vitality of English-speaking Quebec. In 2009, the QCGN established community awards to reward individuals who contributed to strengthening the English-speaking community and to building bridges between Quebecers of different backgrounds. QCGN’s Goldbloom Award celebrates individuals who, like Dr. and Mrs. Goldbloom, dedicated much of their lives to ensuring English-speaking Quebec remains a vibrant community within Quebec and Canada. Candidates for this award must have demonstrated leadership and commitment as a volunteer or as a professional in their chosen field of endeavour. Their contributions can be in any and all regions of Quebec, and in any field from business to academia; from youth to seniors; from health and social services to arts and culture; and any other area such as heritage, the environment, and sports. The guiding principle is that these individuals have provided strong and effective leadership and succeeded in improving the quality life of English-speaking Quebecers and the broader society. Click here for details on how to nominate someone. The Young Quebecers Leading the Way Award was established in 2015 by Quebec Community Groups Network, the Fondation Notre Home Foundation, and CBC Quebec to recognize and celebrate young English-speaking Quebecers engaged in initiatives that create positive change in our communities. The main objective of the award is to celebrate the leadership and innovative thinking of engaged young English-speaking Quebecers. Nominations must come from organizations and institutions that serve Quebec’s English-speaking minority community. To be eligible for QCGN’s Young Quebecers Leading the Way Award, candidates must be under the age of 30 and have demonstrated outstanding leadership to an initiative with measurable impact in their community. Click here for details on how to nominate someone. Recipients of the QCGN Community Awards will be invited to receive their awards at a community recognition ceremony in the fall. Details here.